Has Your DJ Got A Good Enough Music Collection? On the surface of it, you hire a DJ for one main purpose, to provide quality music for your event. Now of course, we all know that the role of the DJ is more complex as they also have to set the atmosphere, read a room and allow the party to flow in line with the wishes of the host. That said; the music is of course central to all of these responsibilities, so when you booked your DJ, did you find out if their music collection was good enough for your event? Most events that hire a DJ will have an eclectic guest list. The room will be packed full of people of different ages and from different backgrounds. A party is potentially the coming together of generations, of faiths and of class. Music is an incredibly powerful tool that has the ability to unite people, despite their differences; everyone loves a good sing song and boogie right? Of course the challenge of the DJ is finding those few tunes that will bring a room together and each event is different. What works in one party might not work in another and it is the DJ’s job to ascertain this and have the appropriate music ready to play. They also need to have tracks available that personally appeal to each group. Each guest should feel welcome and accepted and playing music that they love will do this, it will also loosen them up, reduce inhibitions and get them in the party mood a lot quicker. This is particularly true if you have older or younger guests attending the party. Both groups can feel quite defensive of their own music and critical of others. Finding this balance where everyone is happy is not a challenge for the light hearted. There are of course some parties that seem to have a theme. For example, a wedding where the bride and groom are metal fans is likely to have a higher number of metal fans than your average gathering. The music should reflect this. That said, it doesn’t mean the Auntie Joyce and her love of the Beatles should be ignored. Once again it is the DJ’s role to find the unique balance for each party. To do this your DJ must have a varied music collection. There must be enough tracks that enable them to create a bespoke playlist to suit your party. If they don’t have enough music then it goes without saying; choices are limited and so is your party. A DJ’s music collection is never done. It must be constantly updated. Many of the guests will expect to be able to dance to the same music they can listen to on the radio. Additionally, buying new music, doesn’t replace the old it just adds to the collection. Now we are in the digital era this doesn’t necessarily mean lugging around bags of records anymore so there is no excuse for a DJ not to have an ever growing and formidable collection within a few years in the business. 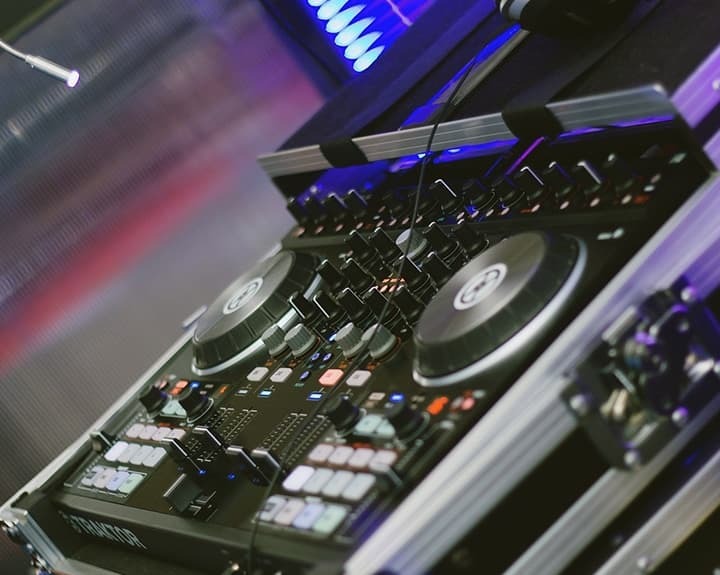 Make sure you check before you book, ask your DJ about their music collection and if you have any specific requests, make sure you ask well in advance so that if they don’t have the tracks of your choice, they can rectify the problem. What Does ‘Good’ Actually Mean? Of course when we refer to a ‘good’ music collection, we mean more than just the quantity of the tracks but their quality and integrity too. Knowing the power of a comprehensive collection, some DJ’s will cheat to increase the amount of music in their possession. They will steal the music by illegally downloading or copying. Now, there are a couple of major problems with this, firstly the quality of the music itself. Copied music might not be of the same quality or have the same reliability and hiring a DJ with copied music is a risk. But a further point is integrity. When a DJ makes a decision to steal music on such a large scale, it has far more significance than someone downloading the odd song they like for their own use. A DJ must build their entire career on the music they collect and if they are prepared to steal it, then it speaks volumes about the respect they have for the artists, and their own business. When hiring a DJ most people want someone who is reliable and trustworthy. You have to ask, what else are they doing in their business to cut corners? Here at UK Mobile Disco’s we make sure all our DJ’s are vetted and insured. The music in their collections are high in quality and variety. Find out more and to get amazing music at your event.